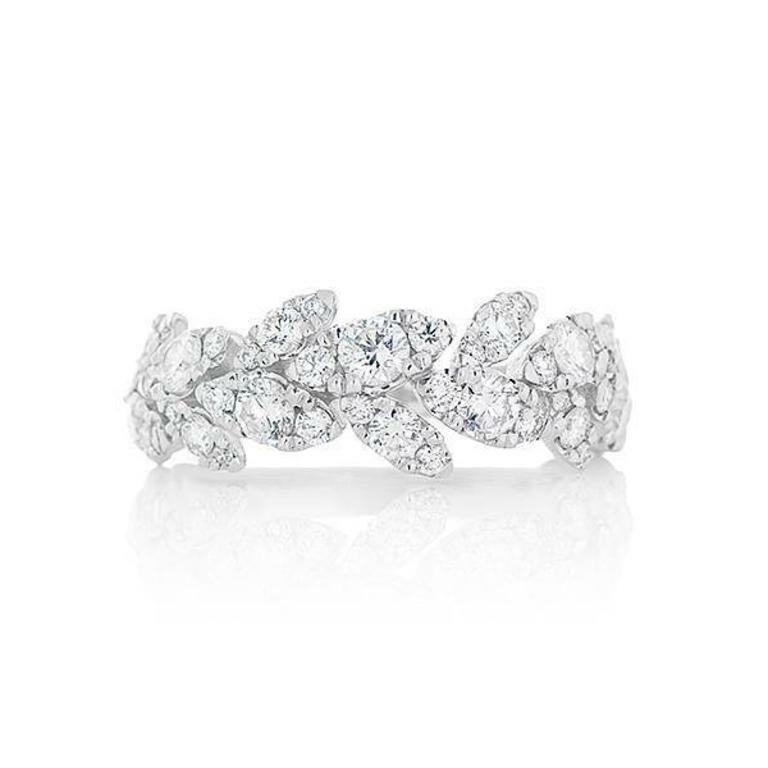 Ladies diamond leaf band of classic contemporary styling. The band is crafted in 18k white gold and is set with a total of 42 round brilliant cut diamonds. 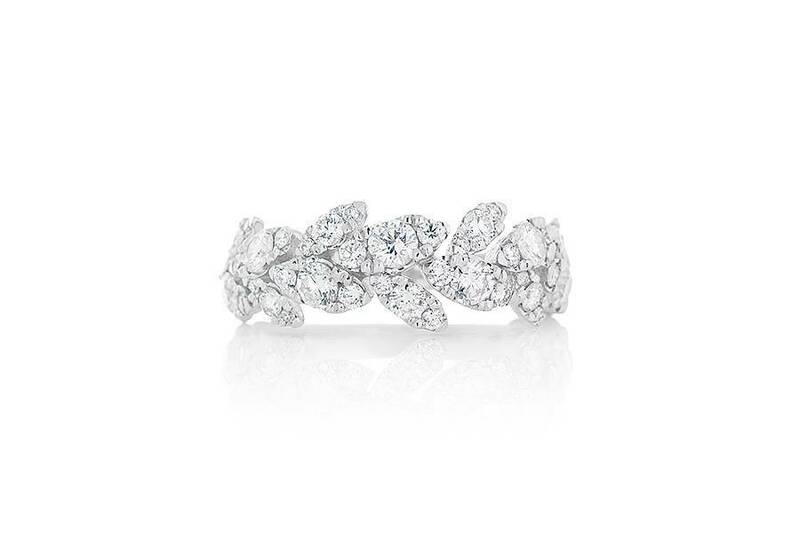 These diamonds are micro pave set into intricate leaf patterns across the top of the band. The remaining shank of the ring is tiffany in shape and high polish in appearance. This ring is stunning, I absolutely love it! I get compliments on it all the time.